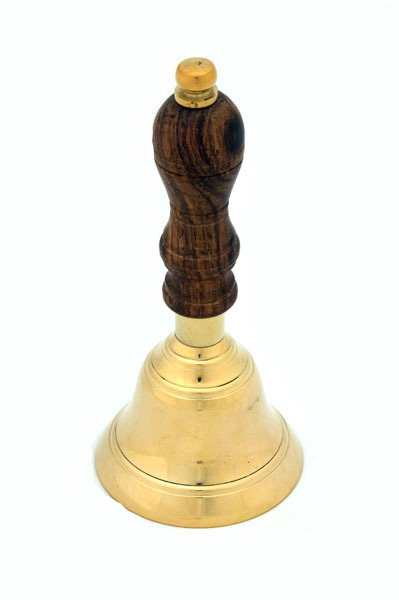 This quality hand bell is made from brass & has a wooden handle & creates a wonderful ring. It measures approximately 146mm (5.75") tall, the diameter of the bell at the bottom is approximately 63.5mm (2.5"). The bell would be a great addition to any home, school, pub, theatre, hotel counter bell or even to ring for the tea!! !